My fifteenth ground of 2017 was on Tuesday 11th July at the New Windmill Ground in Leamington Spa, Warwickshire. The match was Leamington vs. Worcester City in a friendly. The New Windmill Ground is located in the countryside to the south of the town of Leamington Spa. 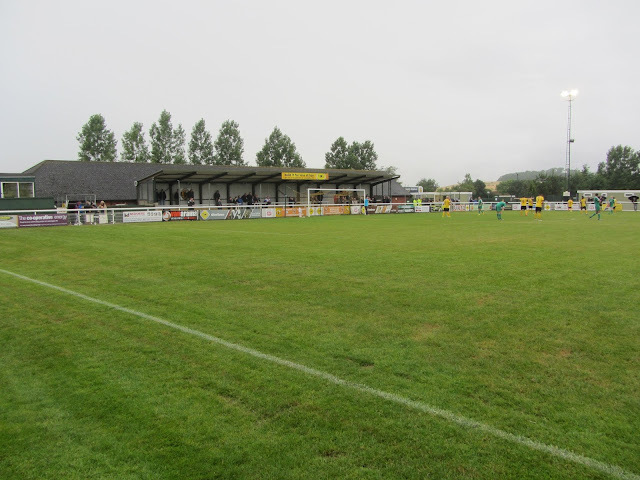 The complex is 4.5 miles south of Leamington Spa railway station is surrounded by fields on all sides bar the road running to the south of the ground which provides access to it. The ground was officially opened in 1999 with the club moving there in 2000 having spent the previous 12 years in hibernation after losing their 'old' Windmill Ground. The club have now had plans approved to build a new 5,000 capacity ground closer to the town with the movement date to be determined. 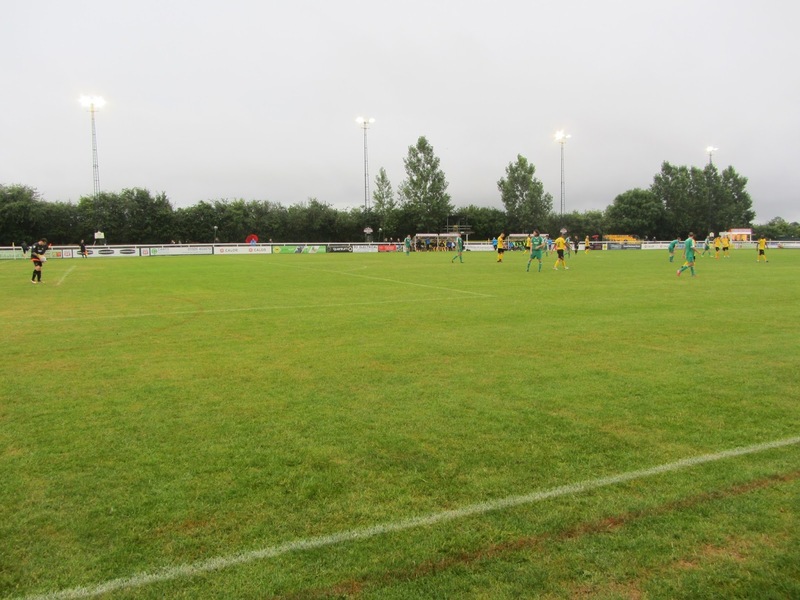 The venue is split into two sections - the western section which contains a mini football pitch and the car park and the eastern section which contains the ground itself. The entrance is in the south-west corner and a club shop built into a shed is the first thing you can see when you walk in. The area behind the southern goal provides the club's infrastructure. This includes a smart club bar which is pretty large and an additional building adjacent to this. These both sit directly behind the South Stand which is made up of 7 rows of covered concrete terracing. There are food outlets to the left and right side of this stand. On the western side of the ground there is an all-seater stand containing 253 seats which runs for most of the length of the pitch. The seating is split into three sections with two sections of 50 seats separated by the larger middle section of 153 seats which also includes areas for officials and media. Next to this stand towards the northern end is a small covered metal terrace. The North Bank is the only side without a structure - this has 4 rows of uncovered concrete terracing and an electronic scoreboard in the north-east corner. The eastern area of the New Windmill Ground is largely uncovered standing. There is a raised concrete area behind the dugouts which used to house a stand but is now just a flat standing area with a TV gantry at the back of this. The only section area is a small stand with 41 seats towards the southern end of the ground. 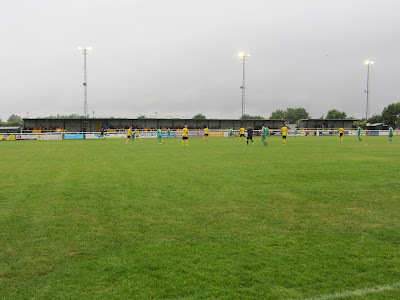 The game was between National League North side Leamington and Midland Football League Premier Division side Worcester City. 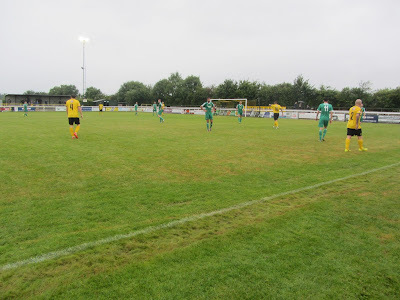 Leamington began the encounter on top until the 14th minute when Worcester snuck into the box and a shot from Brad Birch required home keeper Tony Breeden to acrobatically tip just over the bar. After this Worcester took over the running and took the lead in the 38th minute when Matt Birley curled a 25 yard free-kick into the side of the net just out of the keeper's reach. Leamington spent lots of time in the early part of the second half in the Worcester third of the pitch but sloppy passing let them down. In the 69th minute a nice move saw the ball fizzed across the visiting goal and land at the feet of Courtney Baker-Richardson who was presented with an open goal from two yards out. Unfortunately the ball came too quickly and he could only turn it over the bar. Worcester's let off didn't last long as the hosts equalised in the 76th minute - the move started when a good pass sent Colby Bishop down the left wing. He cut inside, beat a defender and shot back off the post. As the ball came back to him he lifted it to Baker-Richardson at the back post and he laid off for Julian English to head into the empty net. A few minutes later Baker-Richardson was causing problems again as he was tripped in the box by Nathan Hayward winning a penalty which was smashed high down the middle by Rob Thompson-Brown. 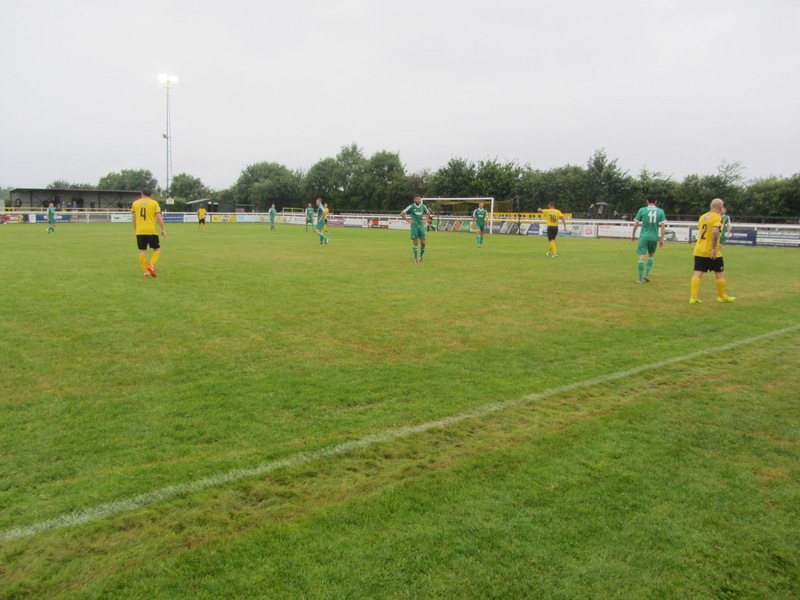 Shortly after this Leamington notched up their third goal in the space of 10 minutes after a corner into the box fell to Tom Rankin who poked low past the keeper from 6 yards.